Dr Sharron O'Neill joined Macquarie University in July 2011 as a Research Fellow in the International Governance and Performance (IGAP) Research Centre. Sharron came to academia from an established career as a financial accountant, primarily in healthcare and multi-national manufacturing firms where her responsibilities included financial accounting, treasury and the oversight of human resource and accounts payable and receivables departments. Sharron's current research focuses on corporate governance and accountability, particularly corporate social and non-financial performance. Her niche area of expertise is work health and safety (WHS) risk and performance measurement, both financial and non-financial. Sharron's WHS research has examined the measurement, reporting and analysis of WHS inputs, processes and outcomes using both traditional and contemporary performance indicators and has employed a variety of research methods. She has also undertaken and published research in the areas of environmental risk management, financial accounting, management accounting and professions. 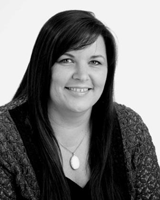 Sharron is a member of CPA Australia, the Safety Institute of Australia and the National Safety Council of Australia. She actively engages with industry, presenting her research, and providing advice on WHS performance measurement and reporting to members of the accounting, financial services, safety and legal professions as well as sustainability assurers and ASX100 firms. Sharron is currently leading a number of WHS projects that bring together the accounting profession, safety profession and Federal Government with a view to improving WHS governance and the reliability and decision-relevance of WHS performance information. Prior to her appointment to IGAP in 2011, Sharron held academic positions at the University of Sydney and at the University of Western Sydney where she was also Head of Postgraduate Programs. She has developed, coordinated and delivered undergraduate and postgraduate subjects in financial accounting, management accounting, accounting theory, social and environmental accounting and accounting for corporate social responsibility. $94,515 (2013-2015) Project – Testing and Evaluating the Draft WHS Reporting Indicators and Guidelines. Funded by Safe Work Australia (with N. Martinov-Bennie, IGAP). $120,000 (2012-2013) Project - Accounting for Work Health and Safety Governance. Jointly funded by CPA Australia, Safe Work Australia, Safety Institute of Australia and Macquarie University (with N. Martinov-Bennie, IGAP). $45,000 (2011-2013) Project - Developing a Framework for Measuring and Reporting Occupational Injury & Disease. Funded by Institute of Chartered Accountants Australia, Safety Institute of Australia and Safe Work Australia (with K. Wolfe, SIA). $12,965 (2007) Project - OH&S Disclosures, Exploring Corporate Demonstrations of OHS Accountability. Funded by a Faculty Research Grant, Sydney University (with K. Clarke, UNSW). Research Impact (ECR), Faculty of Business and Economics, Macquarie University, 2013. 'Testing and Evaluating the Draft WHS Reporting Indicators and Guidelines', with N. Martinov-Bennie (IGAP) and K. Wolfe (SIA). Role: Lead investigator. This collaborative project between Safe Work Australia, IGAP and the Safety Institute of Australia which aims to test the draft guidance for corporate WHS reporting. 'Developing a Framework for Measuring and Reporting Occupational Injury & Disease', with K. Wolfe (SIA). Role: lead investigator. This collaborative project between IGAP, Institute of Chartered Accountants Australia, the Safety Institute of Australia and Safe Work Australia aims to develop guidance for corporate WHS reporting. 'Accounting for Work Health and Safety Governance', with N. Martinov-Bennie (IGAP) and K. Wolfe (SIA). Role: lead investigator. This collaborative project between IGAP, CPA Australia, Safe Work Australia and the Safety Institute of Australia examines the role of accounting in the execution of WHS due diligence. 'The Role of Executive Remuneration in WHS Governance', a project which aims to explore the extent to which executive incentives promote WHS objectives. Role: lead investigator. Clarke, K., Flanagan, J. and O'Neill, S. (2012). Success in winning Australian research council grants as a measure of comparative professionalised disciplinary research activity, Pacific Accounting Review, 24(1): 51-79. Clarke, K., Flanagan, J. and O'Neill, S. (2011). Winning ARC Grants: Comparing accounting with other commerce-related disciplines. Accounting Research Journal, 24(3): 213-244. Clarke, K., Flanagan, J. and O'Neill, S. (2008). The financial information value chain: Repositioning accounting knowledge. The Australasian Accounting Business and Finance Journal, 2(1): 82-94. O'Neill S. (2007). The Road to Profit. Accounting, Auditing and Accountability Journal, 20(1): 160-161. Clarke, K. and O'Neill S. (2005). Is the environmental professional… an accountant? Journal of Corporate Environmental Strategy and Practice: GMI, 49(1): 111-124. Kilgore, A., Leahy S. and Mitchell, G. (1999). The true and fair view: Evidence from Australia, Asian Review of Accounting, 7(1): 96-111. O'Neill, S., Martinov-Bennie, N. and Cheung, A. (2013) Issues in the Measurement and Reporting of Work Health and Safety Performance. Jointly published by Safe Work Australia, CPA Australia and Safety Institute of Australia, August. Martinov-Bennie, N., O'Neill, S. and Cheung, A. (2013) Issues in the Assurance and Verification of WHS Information. Jointly published by Safe Work Australia, CPA Australia and Safety Institute of Australia, August. Markey, R., Ferris, S., Kyng, T., Lavermicocca, C., Muhidin, S., O'Neill, S. , Parr, N. Thornthwaite, L., S., Wright, C. (2013). The Case for a National Portable Long Service Leave Scheme in Australia. Prepared for The McKell Institute, June. Markey, R., Holley, S., O'Neill, S. and Thornthwaite, L. (2013). Examining the Impact on Injured Workers of the 2012 NSW Workers' Compensation Reforms. Prepared for Unions NSW, December. O'Neill, S. (2012) Submission to the Joint Select Committee on NSW Workers' Compensation Scheme, NSW Parliament. May. O'Neill, S. (2012) Discussion Paper: Exploring the Mandatory Inclusion of Work Health and Safety Information in Annual Reports. Prepared for Safe Work Australia, April. O'Neill, S. (2009). Best Practice OHS Reporting. Invited Keynote Address, Safety Institute of Australia Annual Conference, Sydney, Australia, 27-29 October. O'Neill, S. (2010). Accounting for Lost Time: Examining Corporate Accountability to Stakeholders for Occupational Health and Safety PhD Thesis, RMIT University. O'Neill, S. (2003). A Field Study of the Effect of Organisational Visibility and Environmental Impact on the Adoption of Environmental Risk Management Systems MCom(hons) Thesis, University of NSW. O'Neill S. and Wolfe, K. (2012). 'Officers' Due Diligence: Is Work Health and Safety an Accounting Problem', Centre for Social and Environmental Accounting Research (CSEAR) Conference, Wollongong, 2nd December. O'Neill S. and Deegan, C. (2012). 'Lost in Translation: Institutionalised Logic and the Problematization of Accounting for Injury', RMIT Sustainability Conference, Melbourne, 28th May. O'Neill S. Clarke, K. and Flanagan, J. (2011). 'Are Managers of Large Firms Accountable to Stakeholders for the Financial Paradox of OHS Risk? ', UN Principles of Responsible Investment conference, Sydney, 25th November. Hecimovic, A. and O'Neill, S. (2011). 'Are Corporate Social Disclosures Material to Assurance Providers? Evidence from Australian Annual and Sustainability Reports', CSEAR Summer School, Edinburgh, Scotland. 7-9 September. O'Neill, S. and Deegan, C. (2011) 'The GRI's Sustainability Reporting Guidelines: Promoting Accountability To Stakeholders Or Institutionalizing Corporate Social P.R.?' AFAANZ conference, Darwin. 2-5 July. O'Neill, S. and Gray, J. (2008). 'How 'Safe' Are We? Exploring Occupational Safety Performance Measurement in Large, High Risk Organisations', Global Accounting and Organisational Change (GAOC) conference, Melbourne, 9-11 July. O'Neill, S., McDonald, G. and Deegan, C. (2008) 'Reporting Occupational Health and Safety KPIs in Accordance with the GRI: Might the Facts Suggest a Fiction?' AFAANZ Conference, Sydney, Australia, 6-8 July. CPA Congress (2013). 'Why Work Health and Safety is an Accounting Problem', Brisbane, Sydney, Melbourne, Adelaide. Oct -Nov.
ICAA Seminar series (2013) 'Do your WHS board reports add value?' Sydney. Safety In Action (2013). Commercialising Work Health and Safety', Sydney. Sept.
Safety Innovations Conference (2013). 'The Use, Misuse and Abuse of LTIFR', Sydney. July. Citibank Research Briefing (2013). 'Improving Corporate Safety Reporting to Better Focus on Managing Critical Risks', Sydney, April and Melbourne, June. Macquarie Bank, ESG Conference (2011). 'OHS: What Investors Ought to Know and Ask About Policies, Processes and Outcomes', Sydney. November. Institute of Chartered Accountants Australia - town and gown seminar series (2011). 'Emerging Issues in Non-Financial Performance Measurement', Sydney. March. Safety Institute of Australia (2011), 'Can the GRI Deliver WHS Accountability to Stakeholders', contracts & contractor management stream. Sydney, October. Safety Institute of Australia (2011). 'OHS Reporting Guidelines', workshop facilitator. Sydney, October. CPA Australia - Twilight seminar series (2010). 'Directors' Due Diligence and OHS performance'. Sydney, October-November. CPA Australia State Congress (2010). 'OHS Harmonisation: Implications for measuring OHS performance and managing OHS risk'. Presentation repeated at congress sessions in Brisbane, Sydney, Hobart, Melbourne, Adelaide, Perth. October-November. Safety Institute of Australia (2010). 'Measuring and reporting OHS performance'. Contracts & contractor management stream, Perth. August. Safety Institute of Australia (2009). Invited plenary address: 'Best Practice OHS Reporting'. Sydney. October. Technical committee, RMIT Accounting for Sustainability Conferences, held May 2011, 2012, and 2013, Melbourne. Co-convenor, APIRA Emerging Scholars Colloquium, held July 2010, Sydney (with Prof. K. Jacobs, ANU). Organising and scientific committee member, Asia-Pacific Interdisciplinary Research in Accounting (APIRA) annual conference, held July 2010, Sydney. Organising and scientific committee member, Australian Centre for Social and Environmental Accounting Research (ACSEAR) held December 2008, Sydney. Dr Sharron O'Neill and other Macquarie staff contribute to Australian Mining and The Conversation about reforms to Workers' Compensation. Last Updated: 2014-12-24 10:49:45 by Unknown.